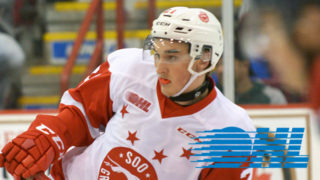 For the second straight game the Soo Greyhounds would open the scoring and later skate to the victory in their playoff series with the Owen Sound Attack. They have now won back-to-back games after dropping an overtime decision in Game 1. Team captain BARRETT HAYTON recorded a four point night (1G, 3A) to lead the Greyhounds along with being named the Red Star First Star of the game. 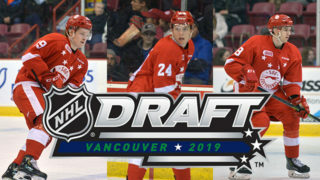 Scoring started in the first half of the opening period, while on their first powerplay of the game the visitors worked the puck from BARRETT HAYTON low to JADEN PECA who moved it from one side of the net to the other, and JAROMIR PYTLIK buried his 2nd goal of playoffs for a 1-0 Greyhounds lead. 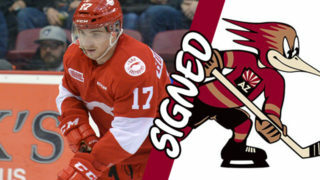 After killing off one Owen Sound powerplay, the Greyhounds would go back shorthanded in quick order but this time would cash in a shorthanded goal. Solid pressure in the zone by both BARRETT HAYTON and ZACK TROTT would pave the way to a wraparound by the Greyhounds’ captain, his 3rd goal of the series and a 2-0 Hounds lead. 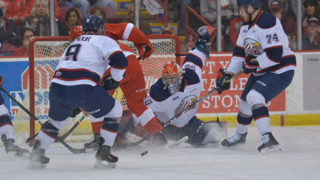 The Attack would call their time-out following the Greyhounds second goal, and would respond with back-to-back goals to tie the game. As emotions escalated between the two teams, it would be a pair of 4-on-4 situations where the Attack would chip away at their deficit and pull even. At 15:45, an initial shot went off a stick and stopped for Barret Kirwin to backhand home his first of the series and put Owen Sound on the board. Then with eight seconds remaining in the period, an odd man rush saw Brady Lyle make a rinkwide pass to Aidan Dudas who’s one-timer beat MATTHEW VILLALTA high for a 2-2 game after twenty minutes. The two teams combined for just ten shots total (6 for Owen Sound, 4 for the Greyhounds) in the second period and the Hounds would have the only goal while retaking the lead. Before the period was midway through, BARRETT HAYTON backhanded the puck rinkwide where KEEGHAN HOWDESHELL wired home his 3rd of playoffs, beating Mack Guzda blocker side for a 3-2 lead. Midway through the third period, the Hounds would score twice in a span of about a minute-and-a-half to give themselves more breathing room. On the team’s fourth goal, the puck came out of the corner to the right of the Owen Sound goal where KEEGHAN HOWDESHELL standing goal front made a short pass to ALEX JOHNSTON who backhanded home his 2nd of the playoffs, for the 4-2 lead. 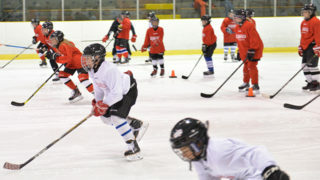 Then at the 9:13 mark, HOLDEN WALE recorded his first-career playoff goal when his left point shot went through a screen and past a frozen Gudza to round out the games scoring. 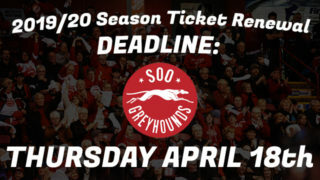 With the victory the Greyhounds take a 2-games-to-1 series lead over the Owen Sound Attack in the Western Conference Quarter-Final (best of seven) series. 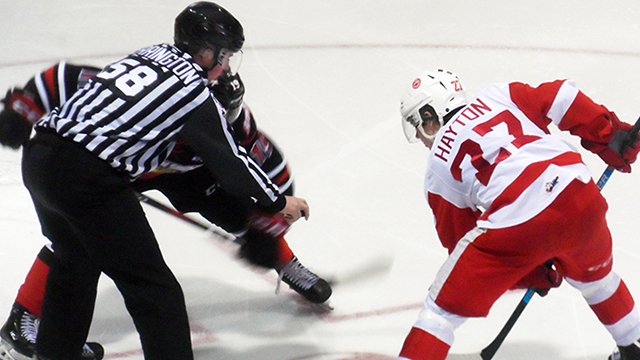 The Greyhounds will take a 2-games-to-1 series lead into Game 4 of this series on Wednesday, March 27. Game time is 7 PM at the JD McArthur Arena in Owen Sound. Fans can catch all the action by tuning into the Soo Video TV Pre-Game Show on Rock 101 (101.3 FM) starting at 6:30 PM or watching on Shaw Spotlight starting at 7 PM.